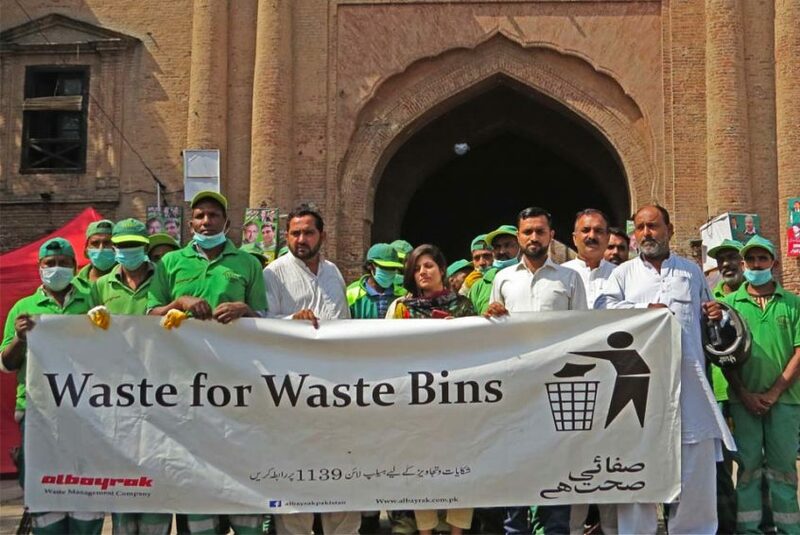 Lahore: Albayrak Waste Management conducted a cleanliness & advocacy drive in the area of Delhi Gate on Friday, to sensitize the residents about proper waste disposal and importance of cleanliness in routine life. Albayrak team established a camp in UC 32 where the visitors were requested to ensure cleanliness in and around historical buildings by placing garbage only in the waste bags or containers. Speaking on the occasion, the officials of Albayrak said that cleanliness is a core responsibility of every individual in the society and each citizen must play their role in keeping environment clean and waste free. An awareness walk was also arranged at the end of the activity.